"PNGDF is APEC ready with its troops and equipment to support the police in the Joint security efforts in this month’s APEC Leaders’ Summit." Four years of preparation has come to this; a week of providing high end security to a high level meeting of 21 countries in Port Moresby. That has been the story of the Papua New Guinea Defense Force (PNGDF) since the announcement that the country will be hosting the 2018 APEC Leaders’ Summit. 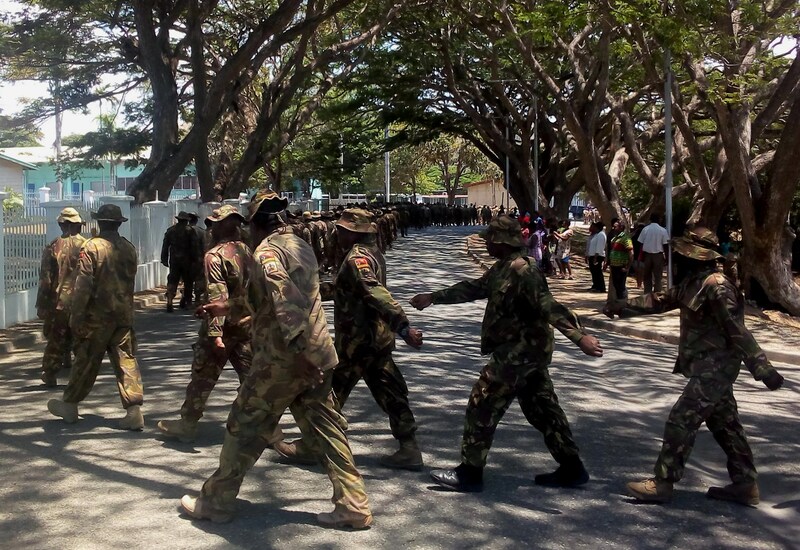 In a hand over- take- over parade at the Murray Barracks in Port Moresby yesterday, the reigns of responsibility were handed over to the man who is going to be overlooking the defense force’s security team operation, Col. Ezekia Wenzel. The control was handed over from Force Preparations Commander, Col. Siale Diro, to mark the end of preparations and start of APEC security operations. 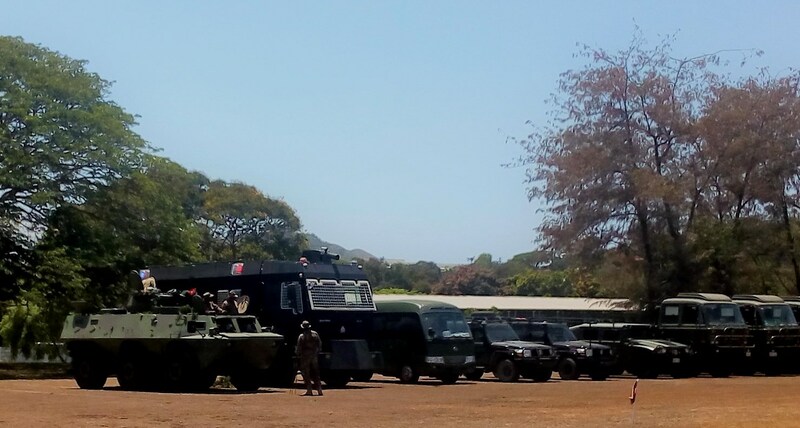 Col. Wenzel said the PNGDF is APEC ready with its troops and equipment to support the police in the Joint security efforts in this month’s APEC Leaders’ Summit. “For the last four years have been very much preparing to be part of the overall security task group in support of the APEC leaders meeting,” said Col. Wenzel. “We also have the flexibility to increase the size of the force as the situation changes or as threat escalates,” he added. The overall training and preparations involved military partners, including Australia, the US, New Zealand, Indonesia and China. Col. Wenzel said the PNGDF now has the capability to work with police, who are leading the security operations, and other security partners to ensure top end security is provided during the Leaders week. Meanwhile, the APEC Leaders Week will start on the 12th and end on the 18th of November.